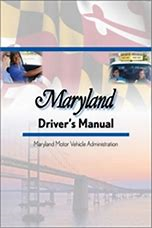 The Knowledge Test at the MVA consist of 25 questions. You have 20 minutes to pass with a 88% or better. The Online Tutorial allows you to get an idea of what topics will be on the real test. If you are under age 16, you must provide a completed verification of identity and/or school attendance form (LINK BELOW). The form must be given to the MVA in a sealed, unopened envelope provided by the applicant's school or county home school coordinator, if home schooled. A parent/guardian must co-sign the permit application if the applicant is under age 18.